Jobson Sailing, Inc. (est. 1978) promotes the sport of sailing at all levels—through lecture tours, personal appearances, events, advertising, as well as broadcast, print, and electronic media. 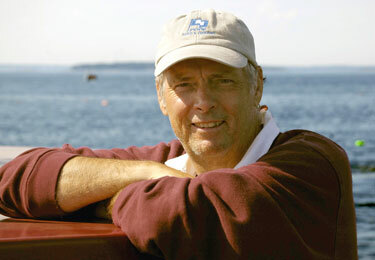 Gary Jobson is a former All-American collegiate sailor. He won the America's Cup in 1977 as tactician for Ted Turner. As a broadcaster/producer (he is ESPN's Sailing Analyst), lecturer, and writer (he is an Editor at Large for Sailing World and Cruising World magazines), Jobson is the pre-eminent ambassador for sailing in the U.S. Featured at the 2016 Annapolis Film Festival. About 200 miles southeast of Halifax, Nova Scotia sits a remote island of sand, and grass. This crescent shaped island is home to a herd of 500 wild horses, many thousands of gray seals, and some birds and insects that are indigenous only on Sable Island. In 2015 I organized a cruise to Sable to produced this documentary. While the scenery is beautiful, sadly, it is also the site of 350 shipwrecks over the past 500 years. The low sand dunes make the island difficult to see. Fog surrounds the island on more days than not. Our yacht, with a crew of six, including two archaeologists, three sailors and a cameraman, was the only sailing vessel given permission to land on Sable Island that year. It is a miracle that Sable (the French word for "sand") even exists. By all accounts the 26 mile long island, which is barely one mile wide, was formed during the last ice age. To the north the Labrador Current sweeps past, and not far to the south, the Gulf Stream flows in the opposite direction. 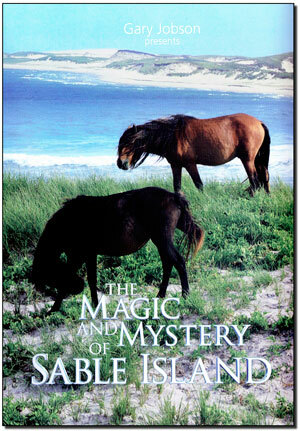 The combination of currents, waves and storms has a huge impact on the position, and shape of Sable Island. A few Canadian researchers, meteorologists, and park rangers rotate living on the island. During our visit we interviewed the experts on the island about its history. The archaeologists found many fascinating artifacts. The horses provided endless fascination with their migratory patterns each day. There were no human footprints anywhere to be seen. It felt as remote as my expeditions to the polar regions. This documentary will take you a very remote, and seldom visited place. Watch the entire documentary now, right here!